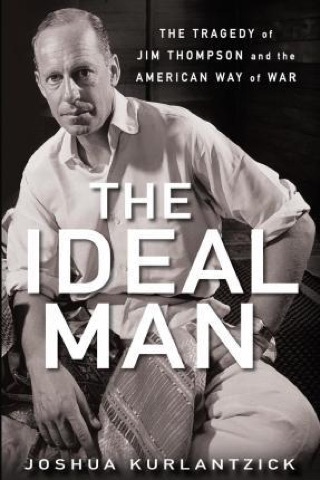 A detailed biography of the American spy-turned-silk-king Jim Thompson, The Ideal Man explores decades of intriguing US-Thai relations as a necessary backdrop to his life. A finely crafted portrait of Thompson emerges through author Joshua Kurlantzick’s research, which calls on already available resources mixed with his own interviews with those who knew him. Born in 1906 to a respected and wealthy Delaware family, Thompson had a privileged upbringing and became an architect, but really only found his passion later in life when he joined the Office of Strategic Services (the precursor to the Central Intelligence Agency). He only really found his feet when he was transferred to Bangkok, after the Japanese World War II surrender. At first Thompson was idealistic and believed in the democracy-spreading mission United States. He believed that the various nationalists groupings in Southeast Asia would quash their colonial masters in the aftermath of World War II. The United States indeed initially seemed headed down this path, with for instance, Washington asking Britain and the Netherlands to take US markings off the military supplies they were using to regain control of colonies like Indonesia, and refusing to allow American military ships to transport troops, arms, or equipment to Indonesia. But the rise of communism in China and a lack of nuanced understanding in the United States meant analysts eventually conflated nationalist movements with communism, setting the stage for the eventual US quagmire in Vietnam. Thailand was the central stage for the US presence in the region, and Thompson’s role with various nationalist movements shifted over the years, till he left the agency, bitterly disappointed in the turn US policy had taken. Thompson himself was the subject of an investigation as a communist sympathiser; no evidence was found. He pivoted to focus on what had initially been a side business that he had a natural talent for: rebuilding Thailand’s languishing silk industry, one farm and one stunning design at a time. Thompson’s character is complex and occasionally problematic, but in the end his ideals usually shine through for the best, and he puts his money where his mouth is, so to speak. For instance, a friend notes that in the early days, “Thompson wanted to help people like the Lao, the Vietnamese, even the Thais, but in the way of a father handing out presents to his children.” His white saviour attitude is somewhat redeemed later in life when he only ever takes a minority stake in his business, apparently handing the majority over to his investors and silk weavers who are truly paid well. Thompson amassed an incredible Southeast Asian art collection when global and indeed Thai interest in pieces was negligible. “He had found many of the items at crumbling temples or other monuments, purchased them from antiques dealers, or found them in abandoned caves across Thailand,” Kurlantzick writes, leaving one to wonder whether he should have picked them up at all. To Thompson’s credit though, he was not a dealer and never sold his pieces, intending to leave them to Thailand after his death. Eventually he left many pieces to museums, not the government, as he was angered by accusations of theft of several Buddha heads that he says he purchased legitimately. As most people know the story, it’s not a spoiler to reveal that (well, okay, stop reading right now if you don’t know the end of Thompson’s story…) his disappearance in Malaysia’s Cameron Highlands was never definitively solved. Kurlantzick looks at the various theories that surround the mystery, and while nothing new is revealed, he does seem to narrow it down to one likely scenario. But the book is really about Thompson’s life, rather than his mysterious disappearance. The Ideal Man for us was at its strongest covering the politics of Thailand in the post-World War II era. The struggle between Thailand’s democratic idealist Pridi Banomyong and militaristic Phibun Songkhram is intriguing. Particularly if you have an interest in politics in Thailand today, the background to the establishment of Thailand’s constitutional monarchy, the death of King Rama VIII (replaced by his brother Bhumibol Adulyadej), and the various bloodless and bloody coups that continued through to the 1960s is essential—and colourful—reading. It also gives solid historical context to Thailand’s political conditions today. Various tiny incorrect details peppered the book, which we found distracting, more than anything. “Steaming bowls of pho” are described as “sticky rice”, Penang is described as a city (twice), coriander rather than mint is listed as the key fresh herb in the Isaan minced meat salad of laap, and Bangkok is sinking by up to 5 centimetres per year, not “a few feet”. They weren’t errors, but we were disappointed that the Cambodian town that some people theorised Thompson melted into is not named; and there was no further research into the several men who got into a car with Thompson and his companion in Penang on his way to the Cameron Highlands for the last time. This seemed an obviously important clue to follow up on, particularly given Kurlantzick’s final deduction of what was likely to have happened. We did also find the structure of the book somewhat looping and occasionally repetitive. A sharp-eyed editor would have trimmed a significant number of pages and kept the book more focused and fast-paced. The narrative storyline of Thompson’s life is there for the taking; occasionally more showing and less telling could have been more appealing to readers. Nevertheless, for those who fall in love with Thai politics, Thai silk, Jim Thompson’s antique-filled house in Bangkok (today open to the public), or even the Baan Krua Nua silk-weaving community, the book is an essential read, contextualising the man Jim Thompson and the rise of his mythic status among many in Thailand.